Navery Moore, from Franklin, TN, was known for being able to throw a 96 mph fastball while still in high school. He threw a pitch one day and felt a 'pop' in his elbow. He tried throwing another pitch, but it got only halfway to home plate. Navery, a senior at Battle Ground Academy at the time, found his way to Dr. Petty who quickly confirmed that Navery had sustained an injury to the ulnar collateral ligament in his elbow. Dr. Petty reconstructed Navery's UCL and he has had a complete recovery. 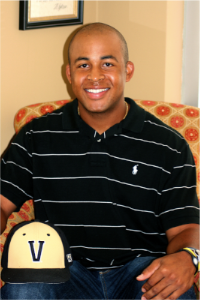 He’s now entering his junior year, pitching for his baseball team at Vanderbilt University. Navery says he does not throw any faster than before, but is now able to throw his hard pitch more consistently than before the surgery..